You are readingPower Surf Board Is The Most Extravagant Birthday Gift! Power Surf Board Is The Most Extravagant Birthday Gift! What do you do when you have $3,000 to splurge on, and someone’s birthday is just round the corner? 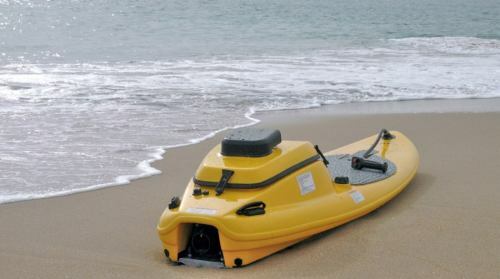 well if you wish then you can spend the entire amount in getting that lucky person one of these, a Surfango, interpreted as a power surf which lets you “surf and go” to any desired location, even if the God of wind is not on your side. This highly extravagant gift is something that every surfer in the world might dream of, specially the ones who live in a place where the winds are not very favorable. 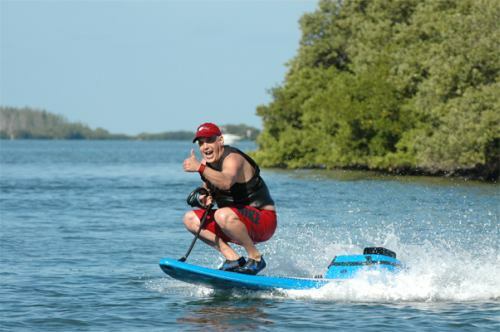 This new surfboard lets you glide over any water body at speeds of 25 mph, which also includes water bodies like your very own swimming pool (if you are rich enough to have such an overly sized pool!). The controls are damn simple!, al you need to do is control the acceleration with the hand held throttle and control the direction by shifting your body weight, much similar to the actual surfing technique. 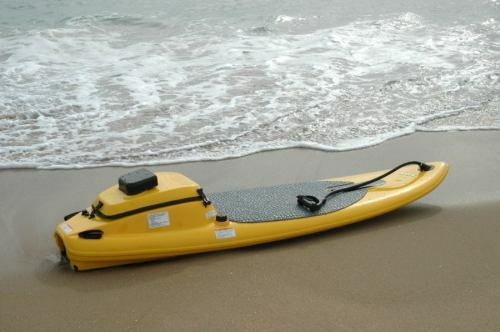 Made from a fiber glass hull, it can withstand extreme pressure and weight, also the 9.5 hp 4 stroke gasoline engine with it’s 2 gallon fuel tank assure you a good 2-3 hour period of fun!, to make things easier it is fitted with a push start button and hence might be much more appreciated. If the price is way above your budget then you should probably look out for the Poptone Puzzle watch.